Via Michael Nelson, George Ayittey on elections in Ghana. Local color and snide observations aside, anyone who can keep shining light on the intertwined dangers of an undisciplined army and the bugbear of ethnic militias—as the author of “the West’s Latest Afghanistan” does, and as Tamasin Ford and Bonnie Allen have done—is making a contribution. So is it the editors who are ginning up and cashing in bad analogies at will? Who wants us to believe that Mali is like Afghanistan? The Moor Next Door rounds up recent articles on Mauritania, Mali, Algeria, Tunisia, and the Sahel region. Lesley Warner highlights key points from General Carter Ham’s recent remarks on counterterrorism in Africa. I wonder if we should perhaps think of sub-Saharan Africa as a collection not so much of jointly emerging markets, but of diverging ones. Vote for the name of the US State Department’s blog. In recent days General Carter Ham of the United States’ Africa Command (AFRICOM) and French Foreign Minister Alain Juppe have both visited Mauritania, signaling a positive Western response to Mauritania’s recent offensives against al Qaeda in the Islamic Maghreb (AQIM) as well as a continuation of the trend toward deeper cooperation between Western and Sahelian governments on counterterrorism. Mauritania, which has undertaken the most aggressive military campaign of the three Sahelian countries most affected by AQIM (the others are Mali and Niger), is receiving the lion’s share of the attention right now, but visits by top Western officials come as the entire region is asking for outside help. “I congratulated him for the success of the Mauritanian army in its fight against AQIM, in collaboration with Mali and other countries in the region,” Ham said after a meeting with President Mohamed Ould Abdel Aziz in Nouakchott. Juppe and Abdel Aziz also discussed the crisis in Libya, an issue with broad political significance in the Sahel as well as direct significance – in terms of potential movement of Libyan weapons to AQIM – for counterterrorism. Mauritania’s government is not the only one in the region exploring a deeper partnership with the West. Niger’s President Mamadou Issoufou recently visited France (Fr), and the crisis in Libya and security issues were major themes in his meeting with President Nicolas Sarkozy. Mali, though Western powers have sometimes seen its government as less willing to engage fully in counterterrorism, has partnered with Mauritania in recent efforts against AQIM. 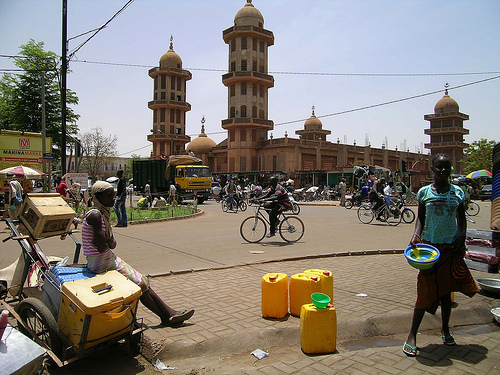 Malian-Mauritanian relations have recovered substantially from the low they hit in February 2010 when Mauritania recalled its ambassador from Mali in protest over the latter’s engagement in negotiations with AQIM. Mauritania, Mali, and Niger may not be on exactly the same page when it comes to AQIM, but they are moving toward greater cooperation. Regional cooperation may in turn facilitate deeper partnerships with the West. The existence of such partnerships is not new – all three countries have participated in US training exercises and counterterrorism programs for years, and all three are planning to attend a summit in Algeria this September where US Secretary of State Hillary Clinton is expected to attend – but the degree of cooperation seems to be increasing. That could have diverse implications for Sahelian counterterrorism efforts in the Sahel: on the one hand, stronger partnerships with the West could enhance local military capacity; on the other hand, perceptions of ever stronger political ties to the West could generate local political opposition. For now, though, the Mauritanian military’s star seems to be rising, both overseas and within the region. The new commander of Africa Command, General Carter Ham, said he intends to maintain the approach General Ward established. “The longer I serve, the more I believe relationships with our partners are what really matters and really enables us to achieve our objectives. I believe we are most successful when we help find African solutions to African security challenges. And I know we will face many challenges. Some of those we can see very clearly today, while others will emerge in unexpected ways and in unexpected places,” he said. General Ham has been the commander of U.S. Army forces in Europe for the past two-and-a-half years, and has had a variety of command and Pentagon assignments. Most recently, he co-led the defense department’s analysis of the potential impact of allowing homosexuals to serve openly in the U.S. military. That process led to the approval of a law that is expected to lift the ban this year, once the military services have conducted a planned training program. The military leadership, including Secretary of Defense Robert Gates, has emphasized continuity amidst transition, though AFRICOM’s staff and the entire Pentagon are clearly watching events in North Africa carefully and assessing the impact those events might have on AFRICOM’s future. AFRICOM has responsibility for any US military activities in Libya. AFRICOM’s press release is here. At one time, a military exercise like Operation Flintlock – which is now in its fifth year – would have set African opinion-page columns aflame and set a fair number of African politicians pounding on tables with their shoes. Some African nations worried that the newly announced but vaguely defined Africa Command (AFRICOM) of the US Army would herald a new colonial presence in Africa, complete with permanent military bases and political interference. But today, AFRICOM’s military exercises often pass with little notice, and increasingly with the support of African leaders. In part, this is because African leaders now see a common threat: armed violent groups such as Al Qaeda in the Islamic Maghreb, which have carried out a series of murders and kidnappings from Mauritania to Algeria to Niger and threaten to topple any government that dares confront them. AQIM might have brought a change in attitudes. Or maybe the passage of time has softened criticism. More on Flintlock 10 here and here. Speaking of AQIM, they’ve abducted another Frenchman in northern Niger. An influential splinter group has officially cut it ties with the Somalia’s militant, Hizbul Islam, vowing to wage war against rival Islamist group. Abdiaziz Hassan Abdi, a spokesman for the Ras Kamboni faction, says senior faction members including Sheikh Ahmed Mohammed Islam ‘Madobe have decided to formally walk out of Hizbul Islam. I’ll try and write a full post on this next week. I would love to hear any insights from readers. Vincent Ogbulafor, chairman of Nigeria’s ruling People’s Democratic Party, will resign next month. The AP profiles Juba, South Sudan. US Envoy to Sudan Scott Gration’s testimony to the Senate Foreign Relations Committee. Food shortages in Burkina Faso affect livestock as well as people, producing a cycle of loss. The tactical portion of Flintlock 10 will consist of small-unit combined training and activities involving U.S. and partner nation militaries throughout the region. The exercise will also include Medical and Veterinary Civic Action Programs that will be conducted to provide the populations in rural areas health information and medical care. An important objective of this exercise is to promote the interoperability of the militaries of partner nations. Future operations in the region will involve the combined multinational militaries of several different nations. The interoperability of African nations will be critical to successful African peacekeeping operations and provide regional stability in the greater security efforts on the continent. True interoperability is more than just compatible systems and procedures; it’s also developing a cadre of professionals who know how to work with each other. A U.S. Special Forces instructor leans toward a steering wheel, showing some 50 Malian soldiers gathered around an army pickup how a passenger should take control of a car if the driver is killed in an ambush. The elite Malian troops look on, perplexed. “But what can we do if we don’t know how to drive?” asks Sgt. Amadou, echoing many of his colleagues’ concern. U.S. Army jumpmasters assigned to Joint Special Operations Task Force-Trans Sahara conducted a Basic Airborne Refresher course May 7, 2010 for African paratroopers as part of the Flintlock 10 special operations exercise in an effort to improve capacity building of African forces for future airborne missions. Airborne soldiers from Mali, Senegal and Burkina Faso took part in the training aimed at adherence to standards and attention to detail for safe airborne operations. The training focused on airborne tasks such as pre-jump (proper exit, check body position and count), demonstration of modified parachute landing falls (front right, front left, rear right and rear left), and mock door training (static line control). Emphasizing the importance of safety, through the aid of interpreters, the jumpmasters trained the parachutists according to standards of the U.S. Airborne School. According to U.S. Army Sergeant 1st Class Christopher Pair, JSOTF-TS jumpmaster, the paratroopers from the African armies brought a level of experience and expertise to the refresher training. The results, taking the AFP and AFRICOM reports together, sound mixed. I suppose that is why the US military approaches this as a long-term project, and will likely conduct more Flintlock exercises in the future. Flintlock has multiple goals – increasing coordination, enhancing peacekeeping capacity, strengthening counterterrorism efforts – but counterterrorism appears to be the centerpiece of the operation. I was intrigued, then, to see AFP cite a figure of 400 active militants in AQIM. I am not a military strategist, but 400 militants seems like enough men to pull off a number of kidnapping operations and hit-and-run attacks on army outposts in the desert. It does not seem like enough men to engage a Sahelian army (let alone the US army) in a pitched battle. I am wondering then whether military training will really boost the capacity of Sahelian armies to deal with AQIM. Aren’t the real needs in intelligence – finding and arresting militants, breaking up cells, negotiating hostage releases, etc?